Each year, the 1st of August is Yorkshire Day. Here at the Museum, we think it’s a good idea to celebrate Yorkshire Day every day of the year. 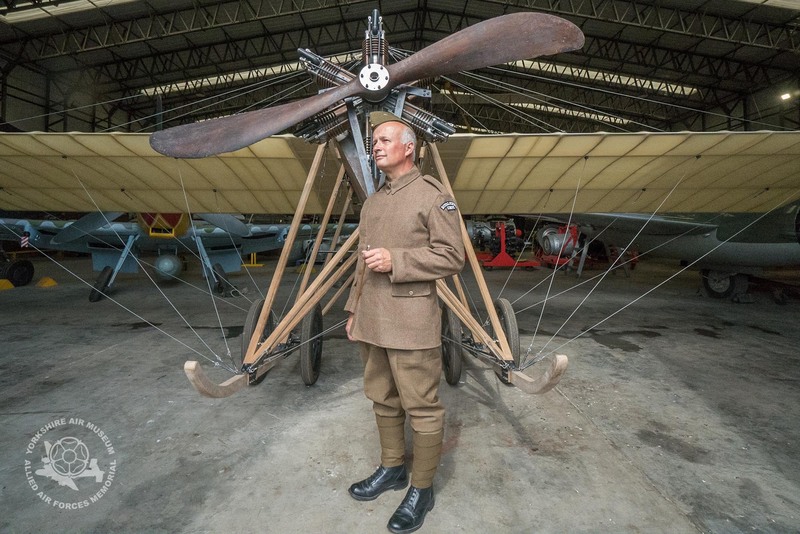 And with so many historical aviation connections here in Yorkshire, we thought it was a good idea to remind visitors of the remarkable aviation history you can find in Yorkshire. So here’s our list of Yorkshire aviation pioneers you will find when you visit the Museum. Everyone knows that aviation was actually a Yorkshire invention. Sir George Cayley was a pioneering inventor based in Yorkshire. His calculations on early aerodynamics are widely attributed to helping the Wright Brothers in their quest for powered flight. The Museum’s Cayley Glider is currently on display at The Great Exhibition of the North. The Blackburn Mercury Monoplane is regarded as the first truly successful aircraft made by Blackburn at their factory in Leeds. The Mercury I, powered by a 50 hp Isaacson radial engine, was displayed at the Olympia Aero Show in March 1911 and made its debut flying from the beach at Filey with the newly formed Blackburn Flying School. In May 1911, it flew from Filey to Scarborough and back in 19 minutes at an average speed of 50 mph, reaching an altitude of 1200 feet. You will find the Museum’s Blackburn Monoplane inside our main hangar. Our Pioneers of Aviation exhibition celebrates the achievements of great aviation pioneers including Yorkshire’s Amy Johnson, Neville Shute, Sir George Cayley and Sir Barnes Wallis. You can find out about their amazing accomplishments and also see the original Bouncing Bomb catapult used to test the theory of the Bouncing Bomb. 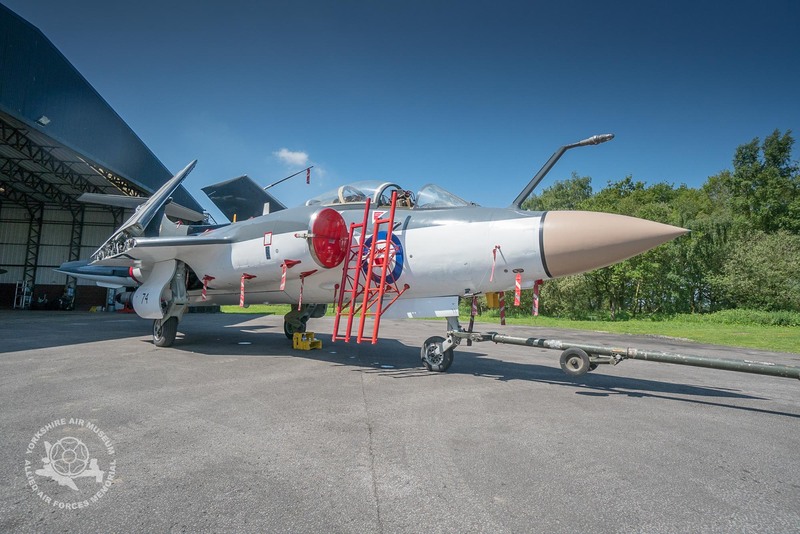 Our famous Buccaneer XN974 was built at Holme on Spalding Moor in Yorkshire and went on to become a record breaking aircraft, pioneering deck landings on aircraft carriers and setting a trans Atlantic speed record. After a long career, XN974 flew into Elvington in 1991 and she is preserved in ground running condition for visitors to enjoy. The only two French heavy bomber Squadrons to serve alongside the Royal Air Force in WW2 were based here at Elvington. The people of the City of York welcomed them in wartime as they flew Halifax aircraft on bombing missions to free their homeland. Betty’s in York was a popular place for them to relax between missions and many French aircrew married local girls from Yorkshire. Thirsk Yarnbombers generously loaned their RAF100 themed designs to the Museum this summer. They are famous across Yorkshire for their inspirational knitting that can be seen around the Yorkshire market town of Thirsk. You can find their work on display at the Museum for the next few weeks.